Wood plank flooring and ample living space. Balconies and large windows allow for natural light and fresh air. Feel at home from the moment you step foot inside your apartment. Custom Elfa closet systems by The Container Store. Looking for an outdoor hangout spot? Found it! Plenty of options to stay fit and healthy. Group fitness and yoga classes available weekly. Mail is easily accessed from the lobby. Explore new hobbies and interests in the Canvas Room. Enjoy a cozy evening by the fire in the lounge. Overlook the town center from the conference room. Entertain friends and family in our private dining room. Challenge your neighbors to a game of Scrabble. Movie nights, football games and more can be enjoyed in the media room. Everyday conveniences at your fingertips. What will you cook at our next resident event? Residents enjoy complimentary continental breakfast. Beautiful spaces set the scene for frequent events and happy hours. Endless places to relax and unwind in the Great Room. Convenient coffee bar and kitchen in the Canvas Great Room. Unique art can be found throughout. Enjoy a good book in front of the fireplace. Mingle with neighbors in the great room. 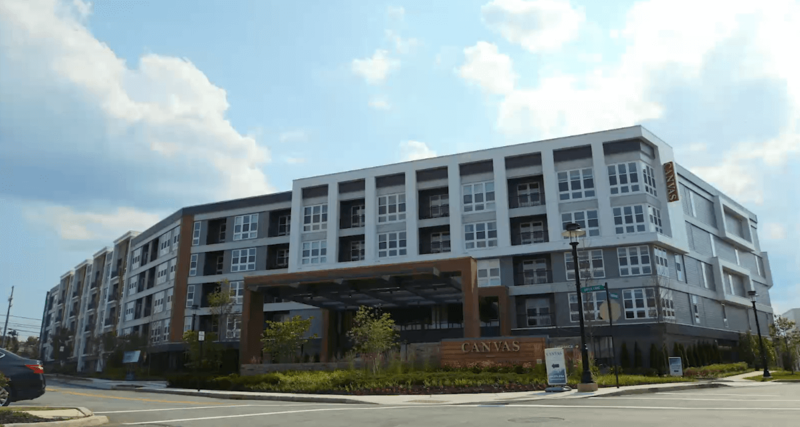 Canvas Valley Forge is a new concept in 55+ living. Enjoy the convenience of city living in the suburbs. Valley Forge National Historic Park is worth a visit while you’re at Canvas. Learn more about our nation’s history at Valley Forge National Historic Park. Enjoy real food fast at b.good. Enjoy an impressive amount of drinks and an energetic restaurant atmosphere. A Northern Italian Steakhouse sits right outside your door. Whether your hungry for food or shopping, King of Prussia is the place to be. A restaurant concept born in Philly, Honeygrow offers wholesome meals. The second largest mall in America is minutes from your door. Where style meets savings – Nordstrom Rack is in walking distance from Canvas. This Latin kitchen and rum bar is ready to entertain. Serene Philadelphia parks are a quick train ride away. Our local partnership with REI will have you ready for the outdoors. Ask your Canvas leasing professional about how you can turn your closet into a masterpiece. Take a walk or bike on the Chester Valley Trail. Golf at one of the many courses nearby.